Few places can beat the magical experience of catching a rainbow trout in San Juan River. This place is frequently tapped as the best fly fishing destination to look for huge trout. I had little knowledge about the streets and locations of New Mexico, but luckily my couch sharing host was kind enough to show me around and thus began my journey to the top fly fishing destinations. I went to San Juan, in the middle of spring as I was told that it was the offseason. I never liked a crowd packed river as it would take the fun away. I was awestruck when we reached the river; it was surrounded with a wonderful view. You can stare at the mountain for as long as you want and you still would not get bored. I started off a bit shaky and did not quite get the flow of the water at first. It took me some getting used to. But, as soon as I settled in, I was unstoppable. You will be showered with trout ranging from five pounds to seven pounds. My host had the best luck ever as he scored an eight pounder. A day to remember till now! You will need more than a single baitcasting reel to catch up with the type of fishes that Alagnak River will throw at you. This is the best place for anglers who want a change in their fly fishing action and enjoy different kinds of catches. The river is calm and pristine, and the scenic beauty of the place is simply mesmerizing. It is everything you would expect from one of the top fly fishing destinations and more. I and my guide woke up early in the morning to get the adventure started. I was informed that this was the best time to find King Salmon in the river, and the information was not WRONG! I caught a huge king salmon in the first hour, and I couldn’t simply stop smiling like a giggly kid. The rest of the day was as beautiful, with plenty of rainbow trout, brown trout, and grayling in the way. [Side note: the guides in Alaska are the best in the world, they know precisely where the fishes are at the time. It is almost like they can see through the water]. So, if you are looking to score big without putting a lot of waiting time behind you, then Alagnak is the ultimate fly fishing destination for you. Where should I begin with? The view? Or maybe the clear water? Or maybe the sound of the ocean? Or perhaps the vast sea life underneath? If you have strong adventure bone in your body, then Alphonse Island is the best place for you. The remote distance of the island is worthy of being in a BBC documentary, and the sea life is nothing short of extraordinary. You will need a lot of different fishing gadgets in your bag to get the best out of place. The fishes you will find here are exotic and something to remember about for the rest of your life. From beautiful milkfish to exotic salmon, from huge trevally to small blue trout, every piece of magic is inside this sea life. I just never wanted to leave the place. It was like the angler’s heaven with a never-ending dictionary of new fishes. The sand feels warm in your field, and the sky is as clear as you can imagine. I tried my hands on different types of casting, and the result was brilliant. The taste of barbequed milkfish still lingers my taste buds. I will want my grave to be there so I can still enjoy the freshness of the sea and the heart of exotic fishes. Imagine this, miles and miles of flat water level with crystal clear water and hundreds of different kinds of catches, sounds fun? OF COURSE, it does. This is the heaven for fly fishers in Australia, and it is not hard to see why. The rare range of fishes including yellowfin tuna, Bluefin tuna, marlin, king salmon, and huge bonefish is sure to draw the attention of anglers around the world. I have heard about this place ever since I started fishing and always wanted to visit the place. Luckily for me, one of my cousins had gotten married in Australia, and I had to attend the wedding. I could not wait for the wedding to get over so I could jump on to a car and find my way into the Exmouth. I hired a boat and a guide for two full days as I did not want to miss out on the experience. My first day was a bit rough at the start, and I was about to lose hope, but then I scored a huge black marlin, and after that, my excitement knew no bound. You might not be too impressed with the view, but the water is simply magical. It changes color from one root to another root which is nothing less than breathtaking. I will go there again ASAP. If you have the budget to enjoy a luxury filled fishing trip, then there cannot be a better option than the Poronui Lodge situated on the north island in New Zealand. This private establishment is one of the most high-class tourist attraction in New Zealand, and there is only one way to express how beautiful the place is, EXQUISITE. I had read about the place in a magazine, and the pictures caught my attention. I didn’t want to believe my eyes; I had to check these fly fishing destinations by myself. This majestic river is the home of huge trophy-sized trout, and you can easily hunt down a lot of them thanks to the expert guides. The guides around this establishment have been fishing in this river for their living, and they sure know how to hunt for big game. They will introduce you to the new techniques of fly fishing to increase your chances of catching larger prey. The luxurious facility provided by the organizers are unprecedented. You will feel like the king of the world with this level of services. You can also enjoy outdoor camping with fellow fishermen and enjoy a delicious preparation of barbequed fish of your hunt. Nothing gets better than staring into the stars and enjoying the river breeze as you fall in sleep inside your tent. Life is short, so you got to make good use of your time. Do not wait for tomorrow, chase down your dream and have a great experience. That is what I did, and I do not regret anything about the last two years. They have been the best time in my life, and I cannot thank god enough for allowing me to witness these top fly fishing destinations. So, if you are an angler by heart and want to explore what the world has to offer, then you can start off with these places. People are hospitable, and the beauty is inviting while the calmness of water is awe-inspiring. Most importantly, the excitement of fly fishing goes beyond description. 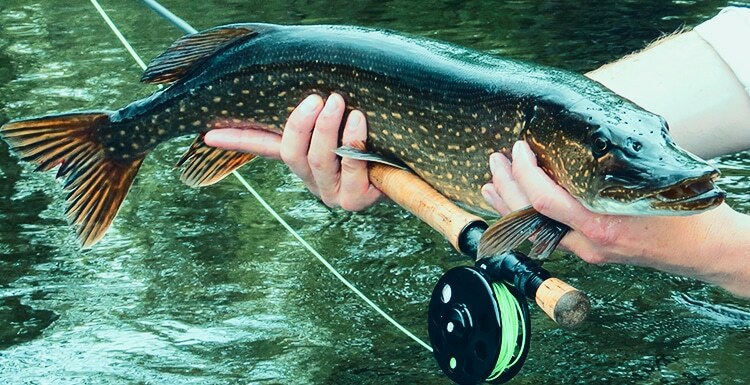 Be sure to make a bucket list about these fly fishing destinations. Until then, have a nice day!